How To Remodel A Deck… or when is it time for replacement? Each year homeowners spend thousands-of-dollars on home improvement projects for their house, inside and out. And rightly so, people should expect quality products and top-notch service for their hard-earned money. But alas. Things in-and-around the house eventually need fixing or replacement. Nothing lasts forever. So when it comes to a backyard deck, how long should it be expected to last? Well, it depends but deck remodeling, redecking or replacement are great options for improvement. 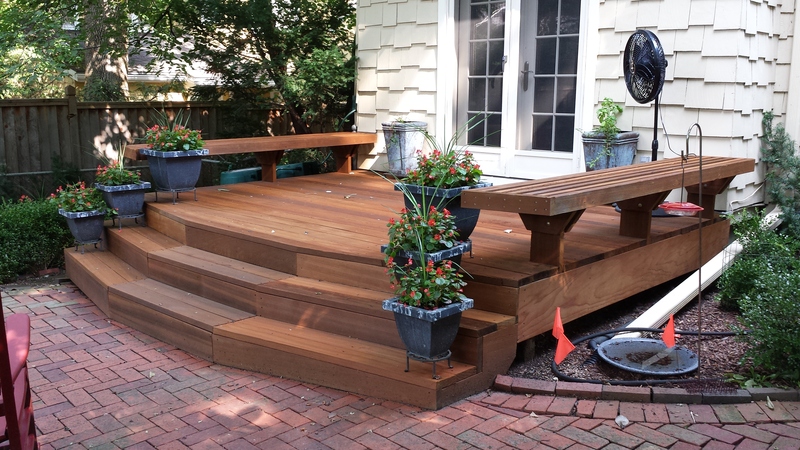 As a rule-of-thumb a well-built wood deck can easily last 10 – 20 years. And decks designed and built with quality composite or vinyl materials can last even longer. Of course, extreme weather or neglected maintenance will reduce its life expectancy. Most customers periodically update their deck well-before it simply wears out. And just like interior rooms folks tend to rejuvenate their outdoor spaces, every-so-often, with a deck remodel or replacement. 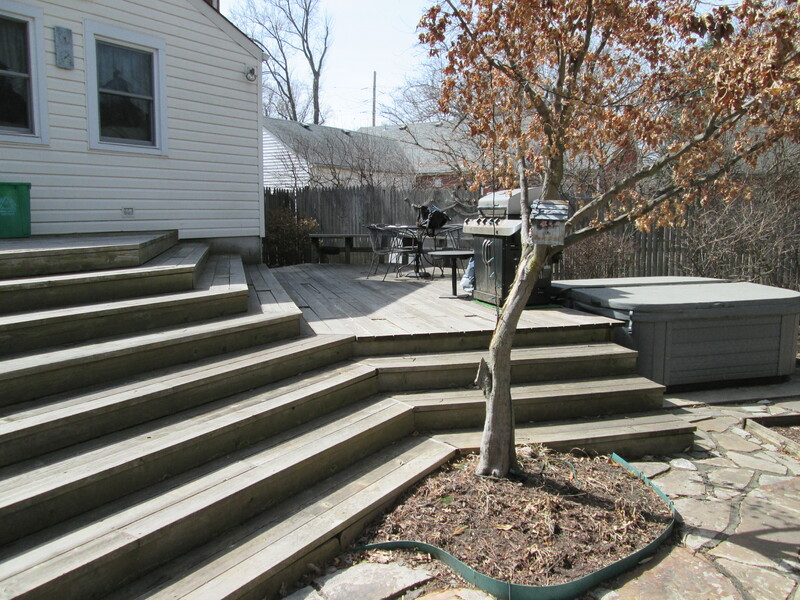 BUT if an older deck doesn’t pass a safety check list, then total replacement should be considered. Deck Remodel To avoid the cost of a total deck replacement, consider a facelift. First, start with a thorough cleaning. If your deck was built using low maintenance materials, cleaning is simple; just follow the manufacturer’s recommendations. But if you have a wooden deck that looks a little bleak, power washing, stain and sealer might be well-overdue. If you’re considering paint for a wood deck, most pro’s will recommend against that. Quality stain and sealer will penetrate and protect wood better than paint. Stain/sealer won’t chip, peel, or crack as the deck wood swells and shrinks (which is normal). Prices for professional services to restore a wood deck will vary. But if you’re looking for a licensed/insured company, check with a local trusted contractor, lumberyard or other industry experts. 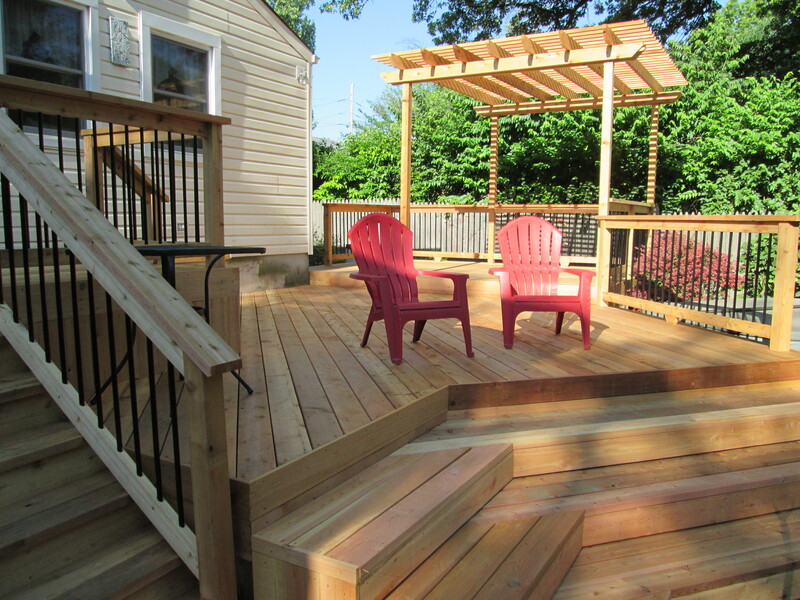 Next, remodel your existing deck with a railing-redo. Choose a contemporary low maintenance rail system with built in lighting. And don’t forget the balusters and post caps. 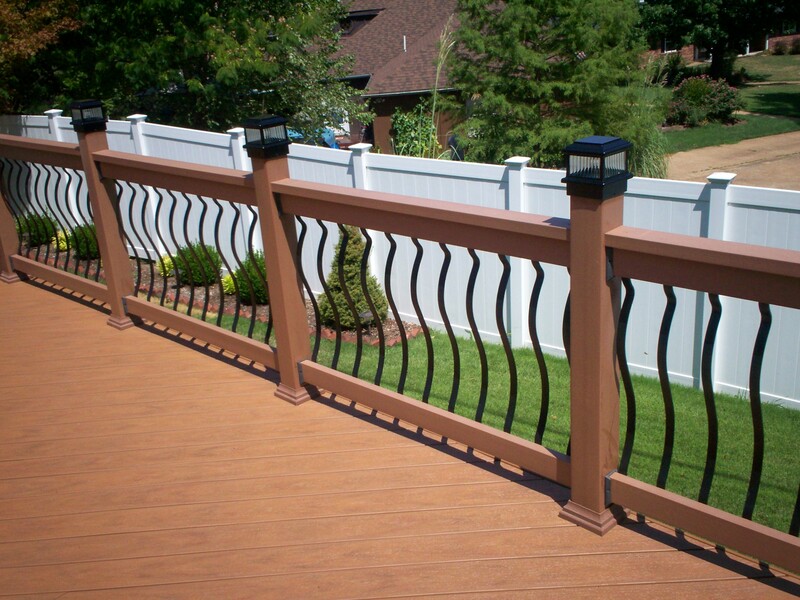 From bold and colorful rails, to rails with slim profiles or glass, new railings for an older deck will change the look. 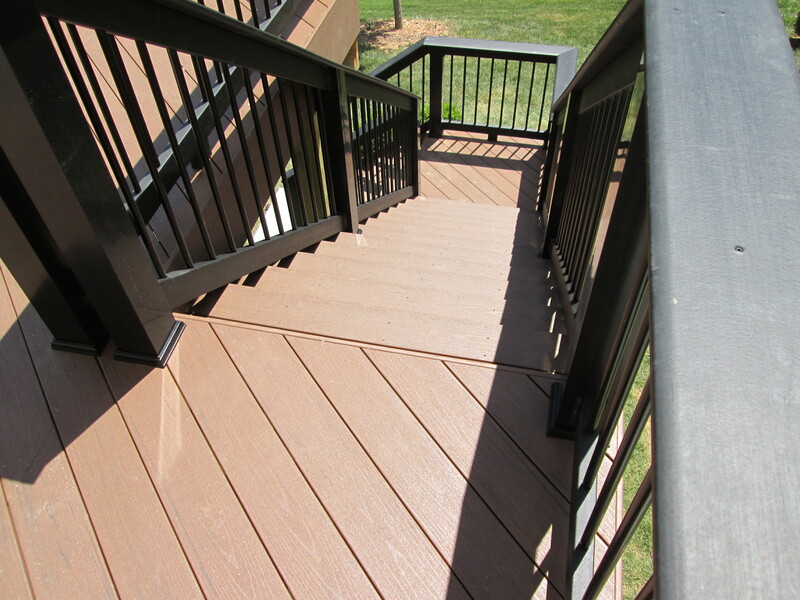 Redecking If your deck is structurally safe and sound, a redeck will make your old deck look and function like new. Redecking replaces surface boards but makes use of the existing framework which save money. Customers often choose a low maintenance product — composite, capped composite or PVC — to replace wood. In today’s market, there are many style and color choices at different prices from manufacturers like TimberTech, Fiberon, AZEK, Gossen and others. Depending on the layout of your home and yard, a builder may even be able to switch-out the stairs or add a pergola and screened porch too. So when does a deck need to be replaced? If you have minor, localized damage to your deck, it can be repaired by a handyman. But when the structural integrity of your deck is questionable, then a total replacement is appropriate and necessary. Telltale signs of dangerous deck damage include visible (or hidden) rot; weakened posts, joists or rail; sagging floor, significant cracks, warping, loose connections, soft spots or a ‘spongy’ feel when walking on the surface. Serious injuries have occurred when a deck has deteriorated and collapsed, particularly when it’s raised high above ground level. Signs of decay, even in one area, are indicative of bigger problems yet to come. Be sure to have a thorough check-up with a safety inspection. So if your deck has seen better days, visually and structurally, most contractors can not only demolish the worn-out structure but design and build a new one too. And deck replacement provides opportunities for change. The style and layout that worked well for you 10 or 15 years ago, may not work well now. This is the time to explore new products, colors and designs. Whether to remodel, redeck or replace is a valid question. And much of the answer will depend on the structural integrity of your existing deck. If your deck is safe and you’re happy with the overall design and layout, spruce it up with a thorough clean/stain/seal to remedy the worn-out look. 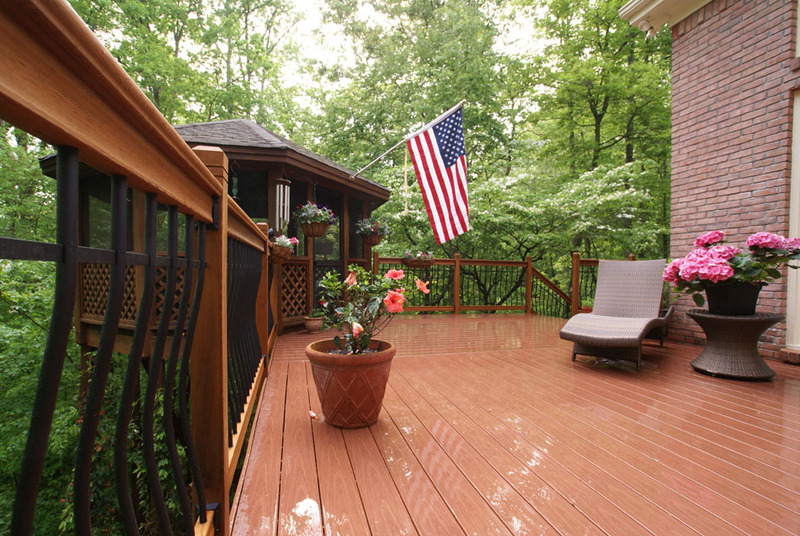 If you’d like to update your deck beyond cleaning, new railing or redecking will totally change the style. If a deck’s substructure has reached the end of its life, replacement is vital, sooner rather than later. Whether you’re interested in a deck safety inspection, remodeling an existing deck that is structurally sound or a brand new deck, Archadeck can help. Here in St. Louis, Missouri we serve the entire metropolitan region including West County, South County, St. Charles, St. Charles County and parts of Illinois. We’re locally owned and operated; we offer free, onsite consultations for new decks, deck replacement or remodeling as well as porches, pergolas and other outdoor spaces too. In addition, we’re certified for deck safety inspections if you have concerns about an existing structure. Call 636.227.0800 anytime with questions or to schedule an appointment. Visit our St. Louis Archadeck website, west-county.archadeck.com to see completed projects, fill-out a simple online inquiry form or send us an email. And if you’re still exploring, visit our new Pinterest page to discover inspirational photos and helpful resources.